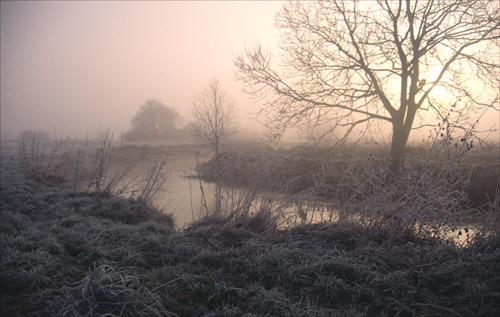 Ron and Maggie Tear Photography: Dawn, River Roding. This river is my local, fish and kingfishers inhabit this stretch of water. It wends it's way to the Thames estuary at Barking Creek. It runs through pastural landscape and does suffer the odd polution wipeout.